Instead of just telling you every thing that the press kits will tell you, I am going to post a few pictures of what I consider to be highlights. 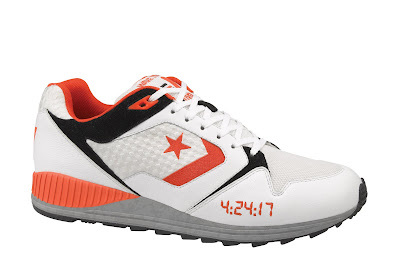 The first shoe pictured below is the Converse Wave Trainer. It is a re-issue of a shoe that previously featured Energy Wave. I've seen another colorway and picture that featured the Energy Wave logo on the heel. I am not sure if they have Energy Wave in them or not, but I sure hope so. 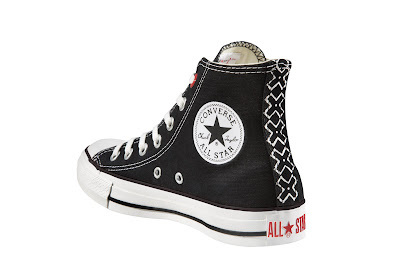 This is the Converse Bosey Boot by John Varvatos, here is some of what the Press Kit says. For Fall 2008, John Varvatos gives a nod to Converse’s centennial by drawing inspiration from a boot from the Converse archives. 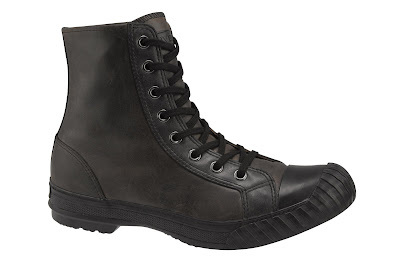 With the introduction of the Converse Chuck Taylor All Star Bosey Boot, Converse by John Varvatos offers an extra, extra high interpretation of a boot that dates back to Converse’s heritage as a military footwear contractor for the US government in WWII. A rugged, gusseted upper with beautifully supple, oiled leather and a military, painted rubber canvas version present style in a refined, stylish manner. 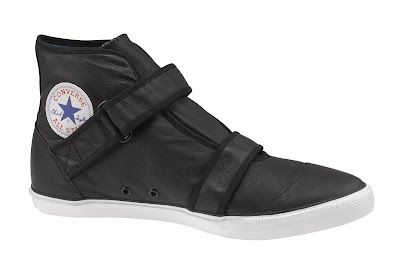 Below is the Converse Jack Purcell V-4, which you can tell stands for Velcro 4. If you read this blog then you know I love the Jack Purcell's, even more then Chucks...gasp...but it is true. 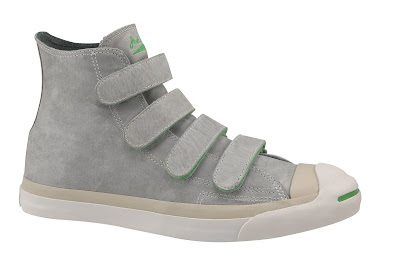 These Grey and Lime Green beauties can't get here soon enough. I first showed you these Chucks a few post ago from the Bread and Butter trade show. These are named the Converse All Star Low Profile. That may be their name, but it was surely named with Tongue firmly in Cheek. At least visually they aren't low profile, especially in other colorways. I really can't wait to see these in person and see what they're all about. Finally, from the Product (RED) collection. Besides the 1 Hund(Red) artist collection, there are also regular Product (RED) shoes coming in the fall. But these aren't exactly regular, they are made with African canvas. A nice touch on the heel will let you know that the Canvas was made in Africa. These are just a few samples of what is offered in the new Press Kits, please go and check them out for yourself now. Also while I was writing the blog today I found out about the Target and Converse One Star afterparty for the 2008 MTV Movie awards. WireImage has a lot of photos up for your viewing pleasure. You can find them here. Thank you for stopping in, I am going to try and post tomorrow too. Don't forget to Vote on the way out.